The Flag of Chile is also known as La Estrella Solitaria, The Lone Star. The inclusion of the star goes back to the star used by the Mapuches.Mapuches are indigenous inhabitants of south-central Chile and southwestern Argentina. 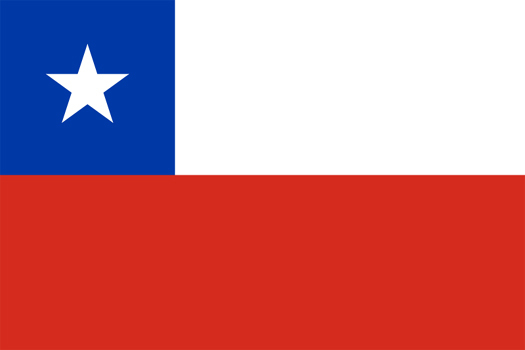 Chile’s flag is very similar to the flag of Texas. The flag of Texas was designed in 1839, 21 years after the Chilean flag was adopted. The flag of Chile was adopted on 18 October 1817. El Día de la Bandera or the Fiesta of the Chilean Flag is celebrated every July 9.